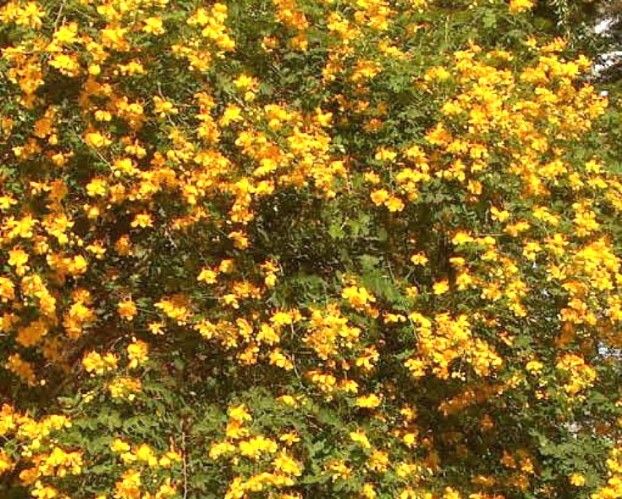 Comments: This semi-evergreen shrub makes a spectacular show in late summer and fall when it produces a mass of yellow flowers that persist for a lengthy period. The plant is not very attractive until it blooms. Consequently place it in a position where the flowers can be enjoyed in fall when few other plants are in bloom.